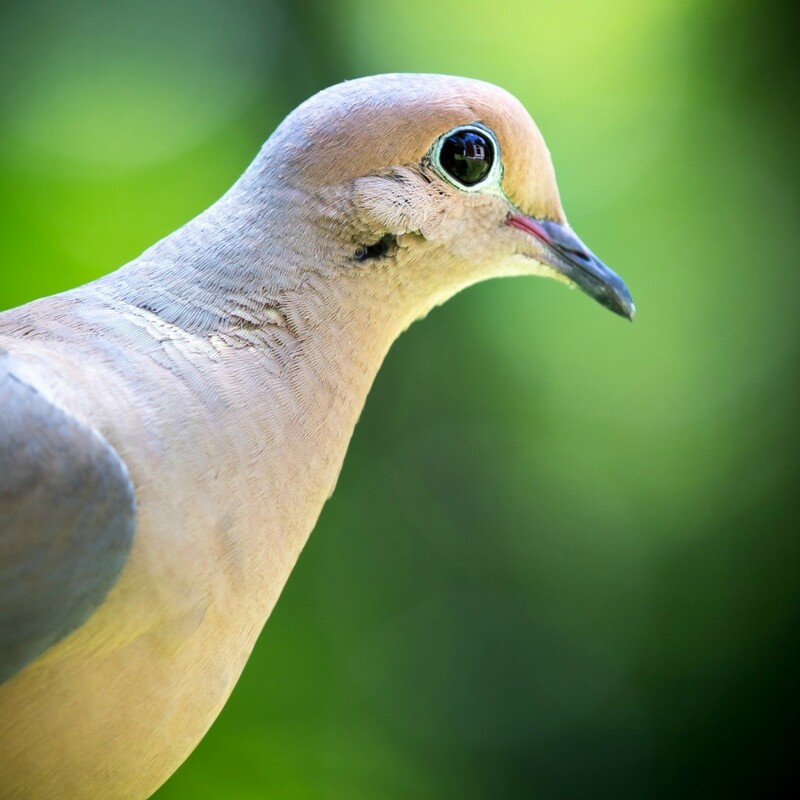 The names dove and pigeon are used interchangably for this bird. The family name is Columbidae or Columbine. This guide contains dove photos. I managed to catch these two turtle doves in a tree in our backyard. They were enjoying the sun and didn't even notice me. They looked so peaceful and calm, as if nothing could ever disturb them. My husband climbed up in one of our backyard trees to hang some windchimes for me and discovered these precious baby doves. Aren't all of God's babies beautiful! 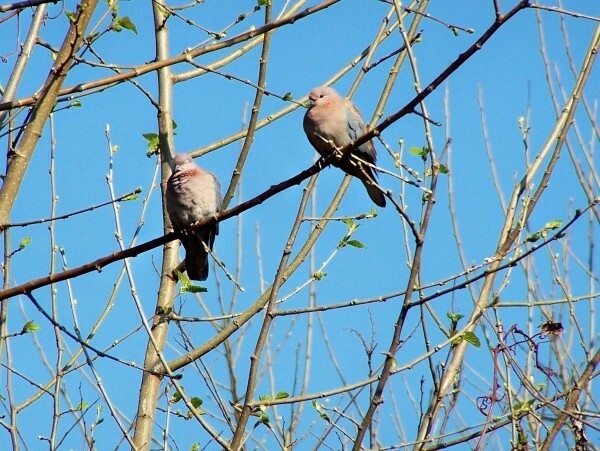 We always had a lot of doves sitting in the trees on our river bank. 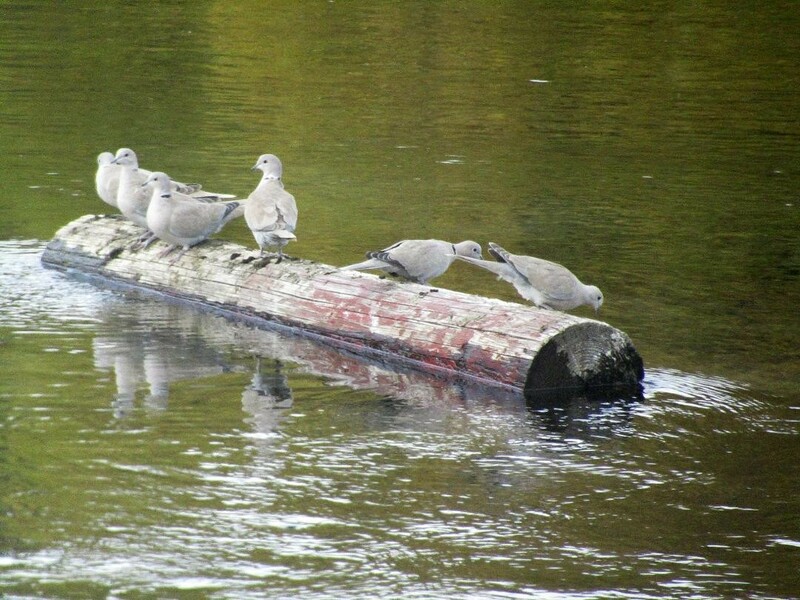 One day a log drifted down the river and parked itself in front of my yard. The doves found this very interesting and went to investigate. They look like they are having fun! 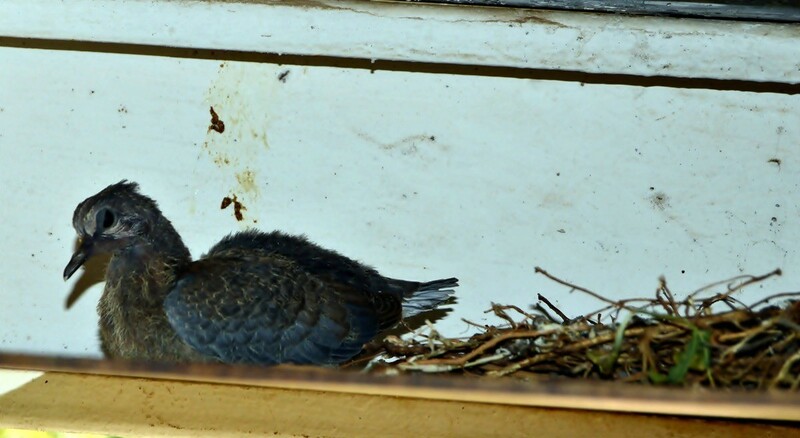 A pair of doves made a nest under the roof of our veranda. It has been incredible, watching them from day 1 when they started to build the nest, seeing mom sitting on the eggs and eventually, the first time we saw her bringing food to feed the little ones. I took the photo this morning when the mom flew off to find food. We feed all the birds year round and have many doves. They love to enjoy a bath too. That is our old water pump from years ago, just as added interest to our yard. The bath tub is a bottom of a hot water tank that we cut off. It works perfectly and is the right depth of water for birds and bees! This is Dovely (a cross of Dove and Lovely). 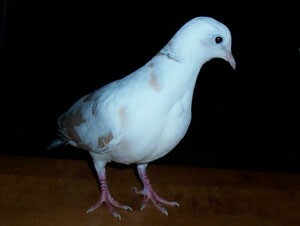 She is five years old and a Dove. After visiting a friend, I heard this cooing sound come from the laundry room. When I asked my friend what the sound was, my friend said "oh that's bird". 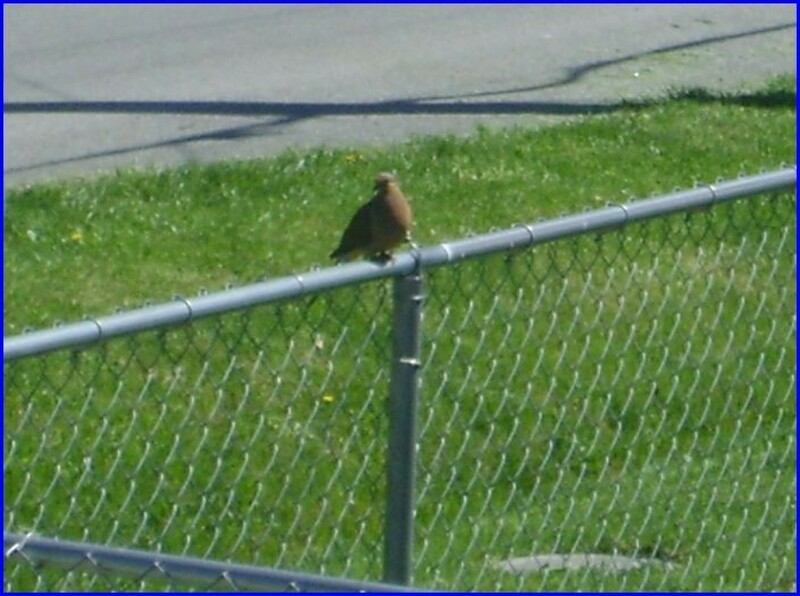 I found this beautiful dove sitting on the fence next door to our house. It was the first one I have ever seen with a pink chest. So beautiful, and he trilled for me. 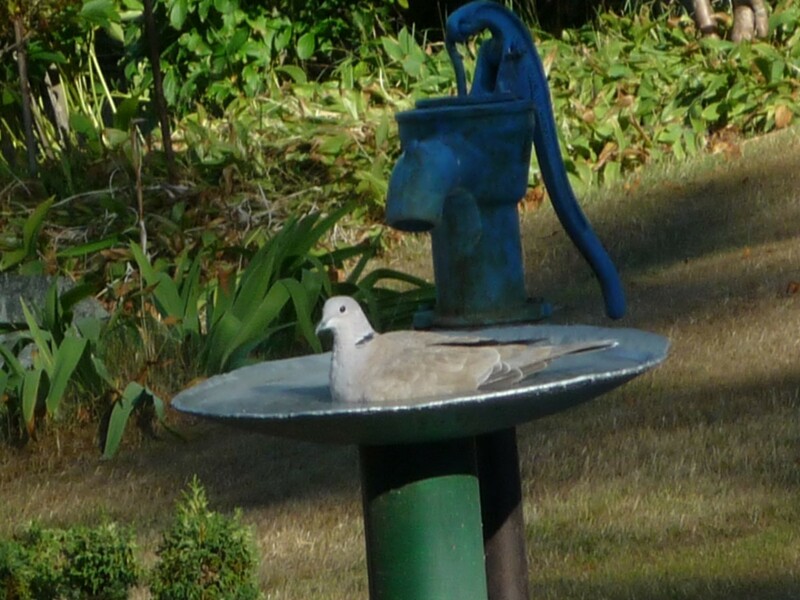 I think this is a dove, but I'm not for sure. I thought it was so pretty in the tree. 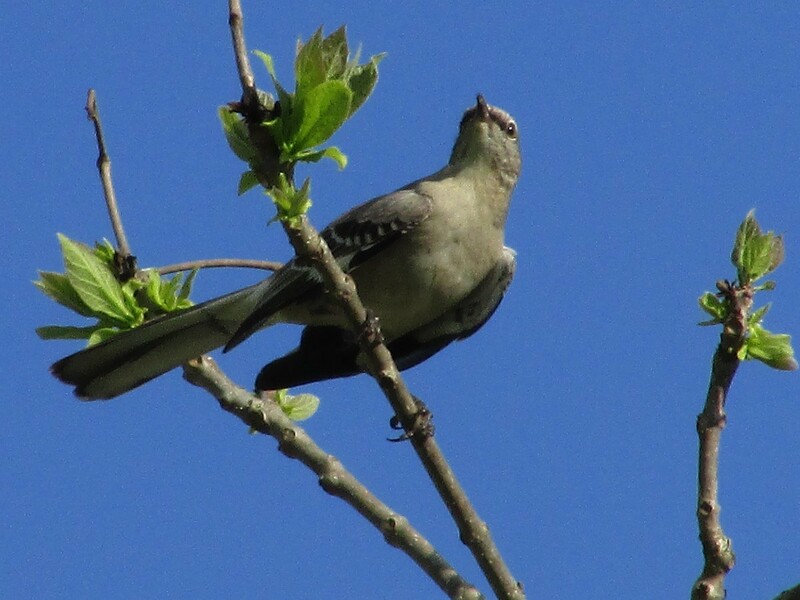 This very common bird is found from southern Canada to central Mexico. They are recognizable from their soft prolonged cooing that has a distinctly mournful sound. 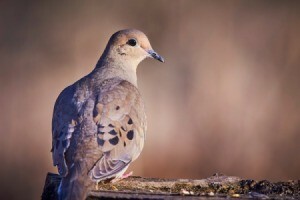 This page contains mourning dove photos.